Norway's sovereign wealth fund has today announced it has excluded Kosmos Energy and Cairn Energy from its portfolios because of their oil search in Western Sahara. Approx. 54 million dollars of shares were sold. "The Council recommends the exclusion (of Cairn and Kosmos)... due to an unacceptable risk of the companies contributing to serious violations of fundamental ethical norms through their hydrocarbon exploration offshore Western Sahara," the council said. See press release from Norwegian Bank Investment Management and the 15 page analysis about Kosmos's and Cairn's activities in Western Sahara, from the bank's Council on Ethics. As of 31 December 2015, the fund had 15,6 million dollars invested in Kosmos Energy, representing 0,78 % of the shares. The investment in Cairn Energy was 38,2 million dollars, representing 2,85% of the shares of the company. American oil company Kosmos Energy operates the Cap Boujdour Offshore block, located off the mid-coast of occupied Western Sahara. In October 2013, Kosmos Energy found a partner in Scottish Cairn Energy which took on a 20% stake. The third partner is Morocco's state-owned oil company ONHYM (25%). Kosmos Energy is responsible for the first ever drilling operation in occupied Western Sahara, which it undertook in December 2014. Read more about Kosmos and Cairn's unscrupulous actions in Western Sahara in our report "A Platform for Conflict". Check also our background briefing on Kosmos. Three-quarters of Western Sahara have been illegally occupied by Morocco since 1975. The people of the territory have an internationally backed right to self-determination - but Morocco continues to block the referendum. Meanwhile it brutally oppresses the Saharawis in their own land, while selling off the territory's resources as if it was entitled to do so. But it is not. 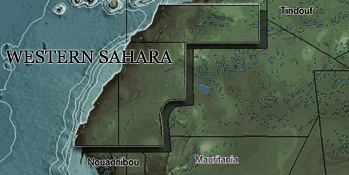 In 2002, a UN Legal Opinion concluded that all exploration and exploitation of Western Sahara's mineral resources was illegal, unless the Saharawi people consented to and benefited from such operations. 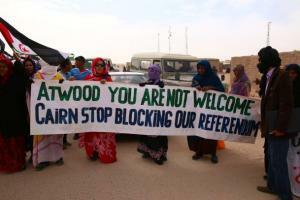 The Saharawis have consistently spoken out against the oil search in their land - but have been ignored by the oil firms who work for the Moroccan government. Both Kosmos and Cairn have stated to the media that they disagree with the decision. But the fund's ethics council stands its ground. "There is no company in the world which says that it agrees its behaviour is grossly unethical," the ethics council's administrative leader, Eli Ane Lund, told Reuters. The approach taken by the two companies, signing a 'joint-declaration' with the Moroccan state oil company, was given limited value by the Council on Ethics, and a social impact assessment had some fundamental flaws, not going into the core question of seeking local consent from the people of the territory.